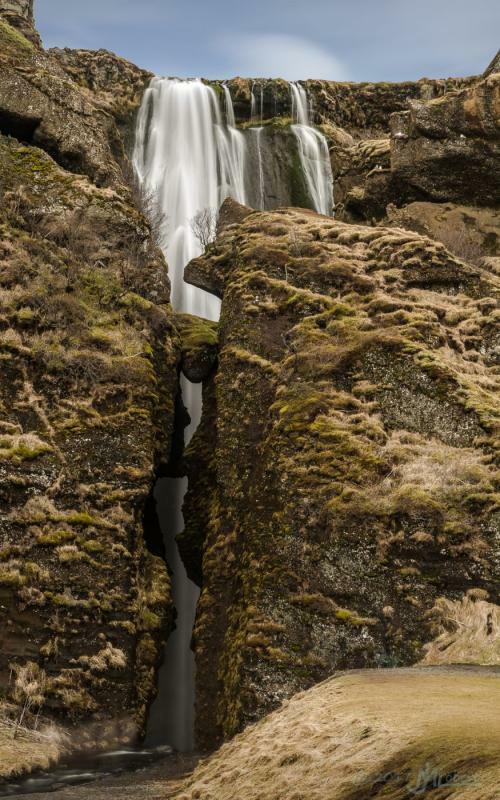 Gljúfrafoss is an impressive waterfall right beside the famous Seljalandsfoss in Iceland. 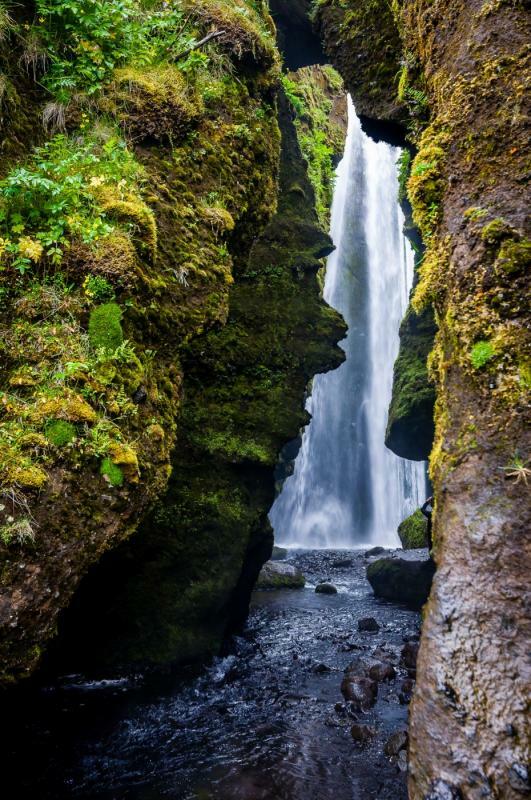 This waterfall is inside a narrow canyon and only 5 minutes by foot away from the well known bigger brother. 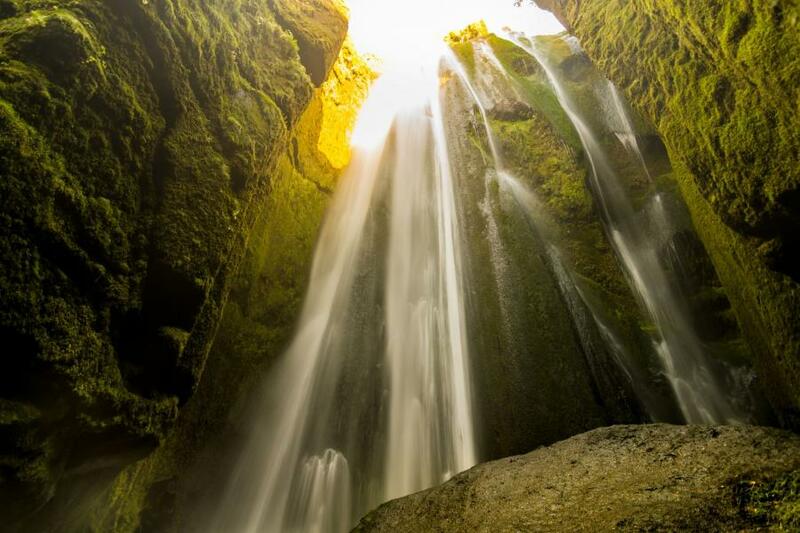 If you are nearby, Gljúfrafoss (or Gljúfrabúi) is definitely worth a visit, even if it's not that well known. 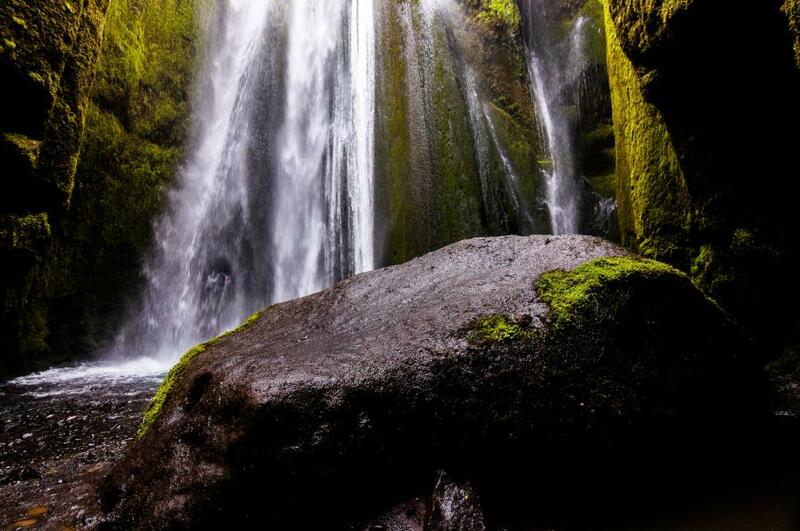 You definitely need to protect your camera gear at this place, because there is a lot of spray within the canyon. If you walk inside it, it feels more like a cave, because the path is pretty narrow. 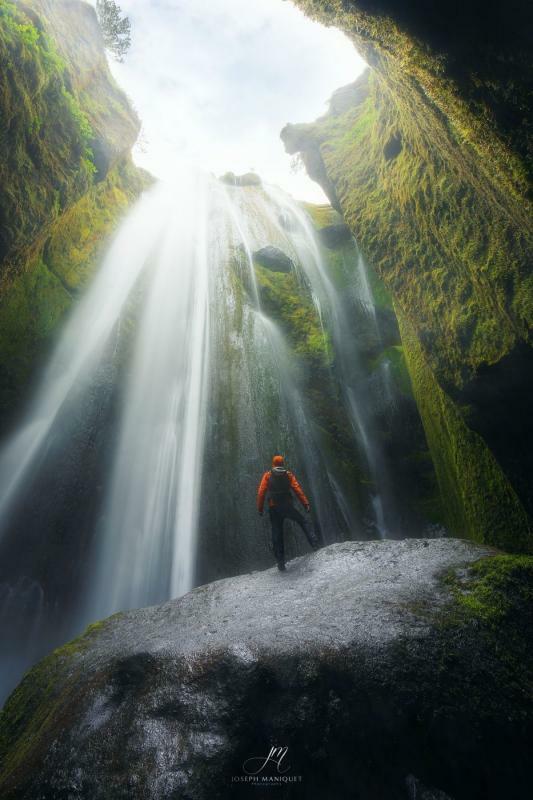 You should probably wear waterproof shoes, if you want to visit this place. 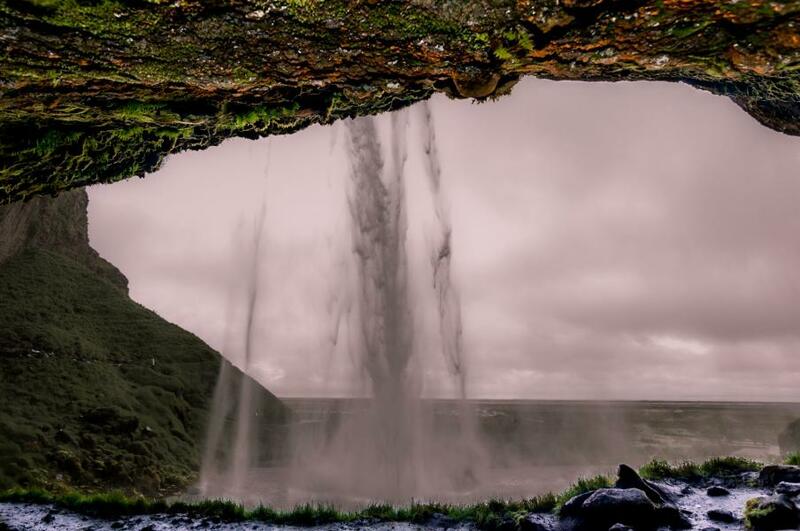 You can leave your car at the parking place of Seljalandsfoss and walk around 5 minutes to the north towards Gljúfrafoss. There are some signs, that will lead your way.